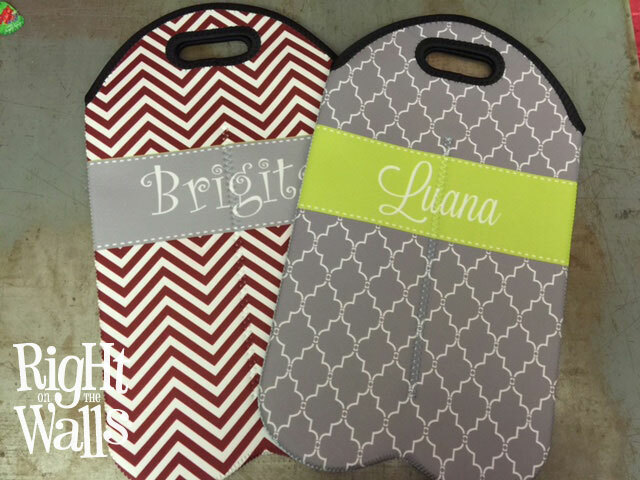 This double wine bottle tote bag is a fantastic personalized gift idea for Housewarming, Weddings, Birthdays, Holidays, Mother's Day, Father's Day .... ANY day!! 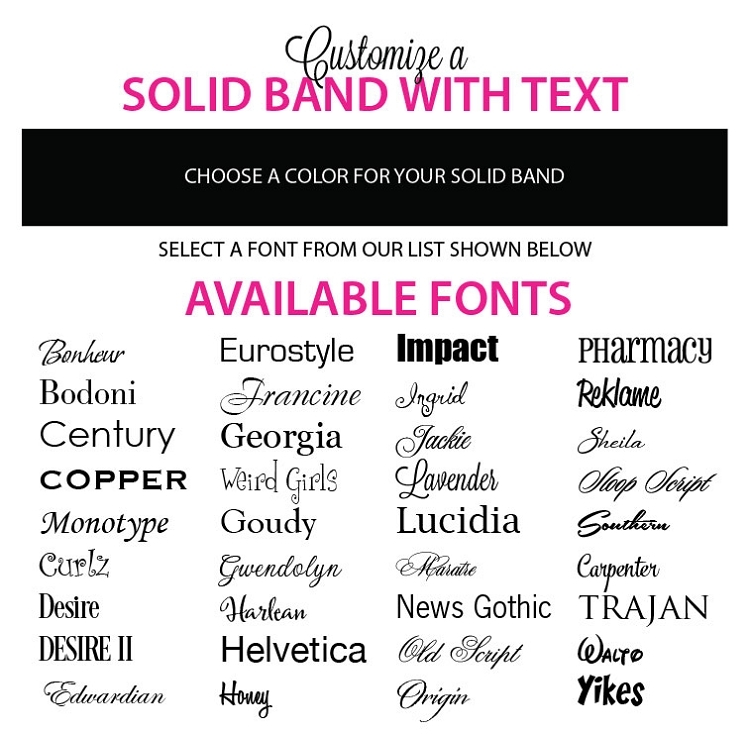 We'll put any custom text on the tote for you, in your choice of fonts. 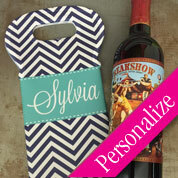 Take two bottles of wine ... and transform your ordinary gift into a bright, cheery extraordinary custom gift with full personalization & the design/color combination of your choice! 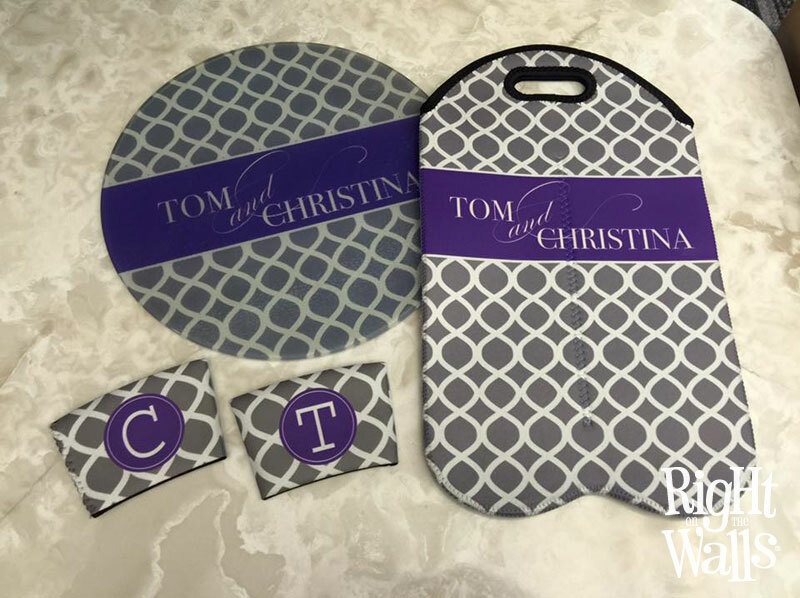 The double wine tote bag can be used again and again. Holds 2 standard wine bottle of 700ml or standard spirits bottle. Wine bottles do vary in size, please check our measurements to be sure the bottle will fit. 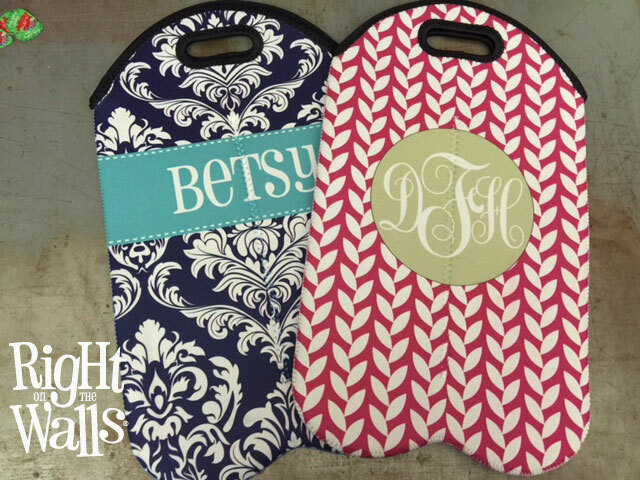 These tote bags are thicker & taller than you have seen being sold by others, they measure 9.5" wide x 17" high when laying flat. 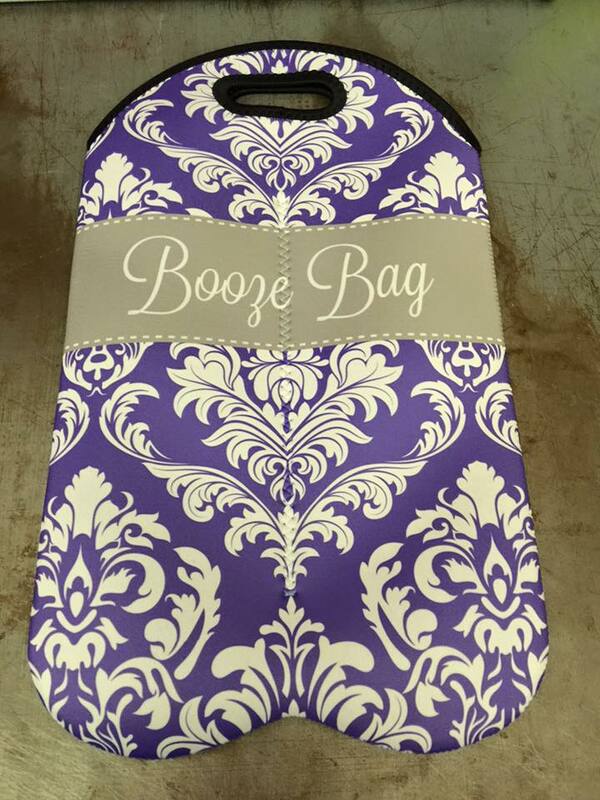 Our wine tote holds 2 standard bottles of wine, or perhaps you would rather give vodka or other spirits! 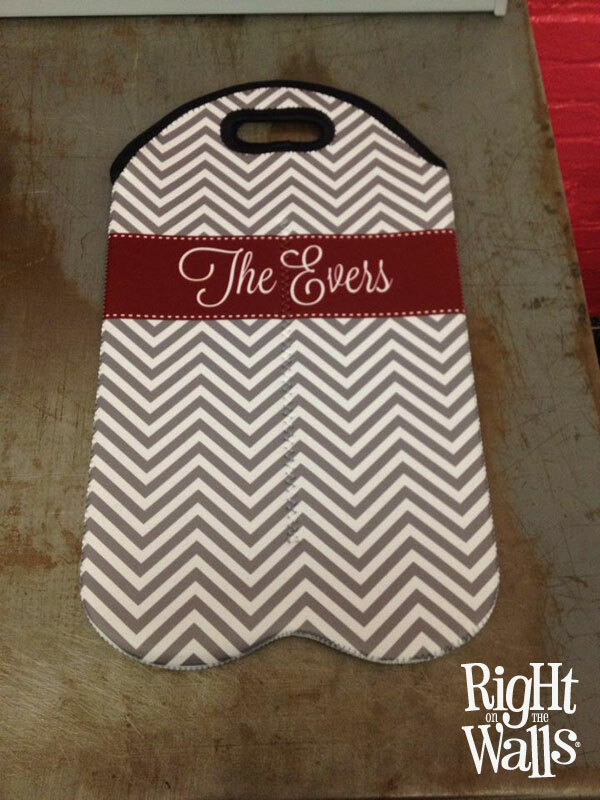 Made from 100% spun soft polyester neoprene inside and out to insulate your bottle.We can make the wine totes for any event or occasion!! 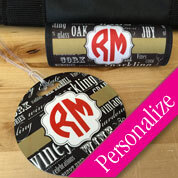 If you have an idea for a custom wine bag ... we'll work with you to create it! 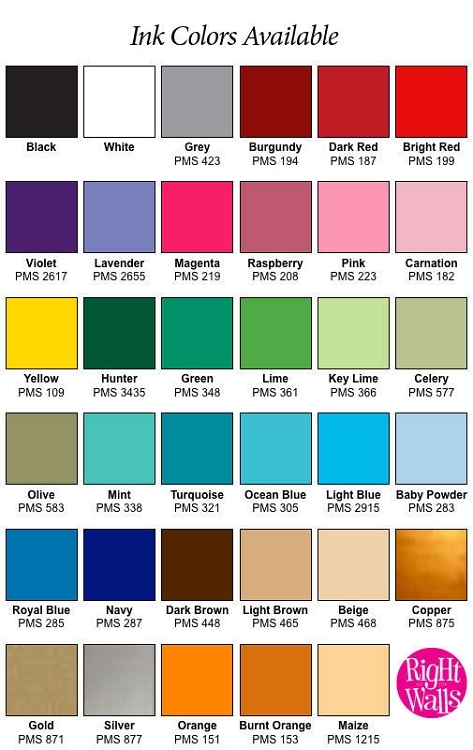 NOTE: We print your design to a pre-made white product. White edges may appear where the dye cannot meet the product during production. 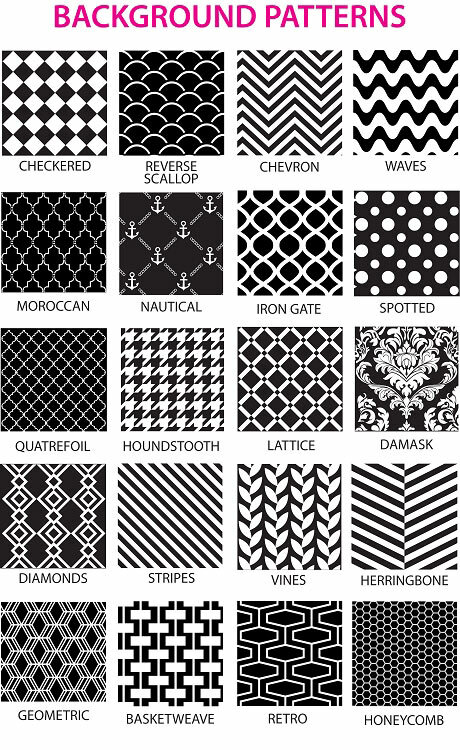 This is normal with our handmade process and is not considered an imperfection, but part of the design.